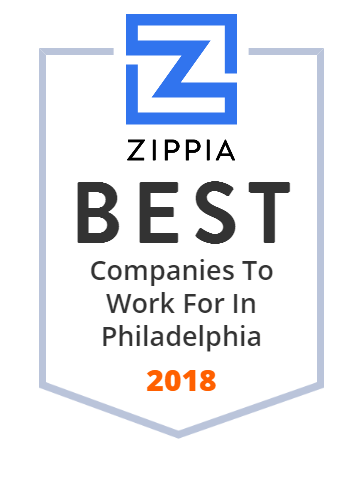 We hand-curated a list of the best companies to work for headquartered in and around Philadelphia, PA using data on salaries, company financial health, and employee diversity. Nazareth Hospital operates as a non-profit hospital. The company provides diagnostic, medical, surgical, and therapeutic care services. It offers cancer care services, including chemotherapy, radiation therapy, and surgical care, as well as support programs, spiritual care, hospice care, and pain management; care coordinator; outpatient therapy services, including physical, occupational, and speech therapy, as well as aquatic and hand therapy, spine rehab, manual therapy, and athletic training services; and wound healing and hyperbaric medicine services. The company also provides emergency care treatment for stroke, heart attack, and various medical emergencies; endoscopy services; heart and vascular services, including cardiology and medical imaging; and primary care, health education and screenings, pain management services fitness classes, and massage therapy services. In addition, it offers laboratory diagnostic services in the areas of anatomic and clinical pathology, including histology, cytology, necropsy, hematology, immune hematology, urinalysis, microbiology, and chemistry; laboratory services to the homebound patient and nursing homes; performs blood draws and EKGs for patients with insurances; and inpatient laboratory services. Further, the company provides orthopedics services; outpatient and ambulatory care, services at on-and off-campus facilities, including diagnostic/medical imaging, lab work, and rehabilitation; pain management diagnostics and treatment services, including acupuncture, epidural injections, electromyography, discography, nerve blocks, nerve conduction studies, implantable pumps, trigger point injections, and radiology/diagnostic imaging; stroke and transitional care; and surgical services. Nazareth Hospital was founded in 1940 and is based in Philadelphia, Pennsylvania. St. Christopher's Hospital for Children is a 189 bed non-sectarian children's hospital located in Philadelphia. Fox Chase Cancer Center is a National Cancer Institute-designated Comprehensive Cancer Center research facility and hospital located in the Fox Chase section of Philadelphia, Pennsylvania, United States. HealthPartners is an integrated, nonprofit health care provider and health insurance company located in Bloomington, Minnesota offering care, coverage, research and education to its members, patients and the community. GlobeHealer Empowers Patients - putting them at the center of their healthcare decision-making and offering them unparalleled control over their treatment. PHmHealth™ is a mobile health (mhealth) care technology company using innovative Near Field Communication (NFC) technology to improve efficiency and reliability in the home health care sector. Penn Medicine is a world-renowned academic medical center in Philadelphia, with hospitals ranked Top 10 in the nation and #1 in Philadelphia by US News & World Report. Accelerating cures for neurologic disease. eResearchTechnology, Inc. provides patient safety and efficacy endpoint data collection solutions for use in clinical drug development and clinical research needs. The company offers clinical solutions in the areas of cardiac safety, respiratory services, electronic clinical outcome assessments (patient, clinician, and observer reported outcomes), suicide risk assessments, and clinical consulting aspects. It provides suicide risk assessment solution that collects, analyzes, and reports patient data critical to the approval, labeling, and reimbursement of pharmaceutical products for healthcare settings, behavioral health, military, veteran affairs, and education areas. The company also offers ERT Insights Cloud, a suite of data analytics, visualization, and workflow applications that enables sharing and integration of clinical trials data; and scientific and regulatory leadership services to biopharmaceutical, contract research organizations, medical device companies, hospitals, and other healthcare organizations. It serves customers worldwide. eResearchTechnology, Inc. has strategic alliances with Covance, e-Trial Co., Ltd.; Healthcare Technology Systems, Inc.; Site Support Institute Co., Ltd.; and Statistical Resources, Inc., as well as a strategic partnership with Pharmaceutical Product Development, LLC. The company was founded in 1977 and is headquartered in Philadelphia, Pennsylvania with additional offices in the United States, the United Kingdom, Japan, and Germany. As of July 3, 2012, eResearchTechnology, Inc. was taken private. The Sporting Club at The Bellevue is Philadelphia's premier fitness club offering high-end amenities and access to the industry's leading experts. To schedule an appointment, please call 215-728-CARE (215-728-2273) or visit www.jeanes.com. This is the official Facebook presence of Jeanes Hospital. Fabric Development Inc. design and production of Kevlar fabric and carbon fabric for composite and ballistic applications. Magee Rehabilitation Hospital, founded in 1958, is a 96-bed specialty medical rehabilitation hospital providing physical and cognitive rehabilitation services. Magee's flagship facility is located in Center City Philadelphia. In addition to the main campus that offers comprehensive services for spinal cord injury, brain injury, stroke, orthopaedic replacement, amputation, pain management and work injury, Magee provides an expanding outpatient network serving the surrounding communities. In 1985, Magee's brain injury rehabilitation program became the first in the nation to be accredited by the Commission on the Accreditation of Rehabilitation Facilities. Magee partnered with Jefferson Hospital to create one of the nation's 14 federally designated centers for spinal cord injury rehabilitation. Magee has been rated one of America's leading rehabilitation hospitals by U.S. News & World Report. Magee provides treatment to more than 5,000 individuals annually. Magee is authorized to treat wounded military personnel returning from war. Magee is not an Obligated Group Affiliate. Girard Medical Center and St. Joseph's Hospital, and is also a major employer and economic anchor in North Philadelphia.